Chances are, if you’re into metal, your first love for a band wasn’t Gorgoroth or Suffocation. I’ve met a person or two who went from prog rock into tech death, but in actuality the majority of people in the metal community started with the basics: Judas Priest, Iron Maiden, and even hard rock bands that influenced the genre, like Van Halen. It’s almost like Metal 101, and everyone has to go through it at some point or another. And whether you enjoy the music or not, you can’t deny the influence on the genre, let alone how it has impacted the world. 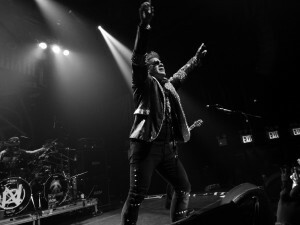 Metal Allegiance has that in mind, except with noteworthy and famous musicians in metal and rock who have been influenced by this music in their careers. Last year, the collective of musicians released an album of original music and played a couple of shows around the country. This year year, on a smaller run, the Allegiance returned to New York, bringing some noteworthy and excellent musicians to celebrate the genre’s winding history. One could argue that the opening bands also kept with this tradition: while the headlining act would be comprised of classic metal stylings, opening bands Chains Over Razors and Next to None definitely symbolized the changing of the genre in more recent years. It was an interesting mix up for the show, and definitely made for nothing short of it being unpredictable, in some instances. 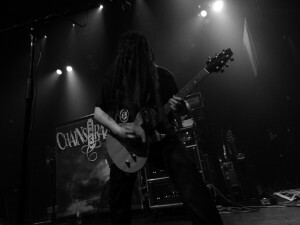 Gramercy Theater served as the show’s backdrop, and the overall show definitely pulled in enough people to make it a success: names like Mike Portnoy, Chuck Billy, Alex Skolnick, and Bumblefoot were attached to the bill, so the collective’s lineup for the show was enough to make some heads turn. By the time the Metal Allegiance took to the stage, the room had no doubt pulled in more than enough people. 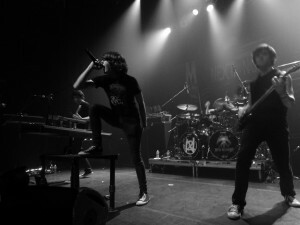 Earlier on in the night, Chains Over Razors took to the stage, and set the energy right away. Despite only being three members, the band presented a very modern and aggressive hard rock/heavy metal. Taking complete advantage of the stage provided to them, the band’s guitarist Mikey V taking complete advantage of it all. 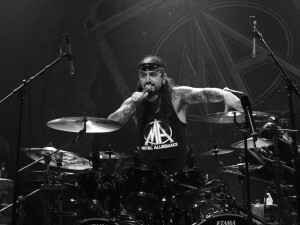 A whip of his dreads and he was interacting with his drummer (And brother) Andy or taking to the front with vocalist Franco. Franco himself was constantly at the front of everything, and even got down in front of the crowd at a point to interact heavily with the fans in attendance. His abilities as a frontman suited what they were for the band, and his ability to jump between sung and more harsh-styled vocals was smooth, too. At no point in the set did he (Or any other member of the band, in fact) show signs of slowing down and kept the excitement going through the entire set. If Chains Over Razors proved one thing on stage, it was that they are more than capable of performing at full energy for an entire set and being an up and coming act that have a fair shot of receiving a good deal of attention in the future. 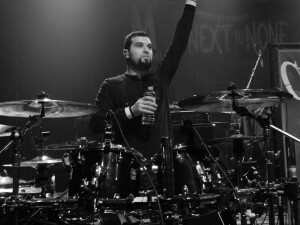 Next to None followed up Chains Over Razors, and their presence at the show made so much sense: Mike Portnoy was involved in the production, and it makes sense since his son, Max, is behind the kit of the band. Changing things up from the more straightforward approach that Chains Over Razors brought, Next to None blends a Bullet For My Valentine metalcore approach with some progressive sensibilities. For their young age, Next to None were plenty ready to give it their all with their performance. The band wasted no time in getting right to playing as they took the stage, and coupled with a good live sound, their initial impression was a strong one. Vocalist and keyboardist Thomas Cuce impressed almost instantly, delivering with both his cleans and screams, as well as taking full advantage of his rotating keyboard stand and the stage space allotted to him. 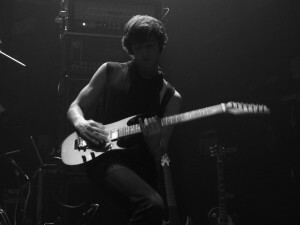 More impressively were the moments in which he would be singing and performing a lead melody on the keyboard, often separate from guitarist Ryland Holland. Holland and bassist Kris Rank deserve mentioning for being so locked in with Max Portnoy on the kit. All three of them make up an excellent rhythm section and lose none of the flow when Holland takes to his lead parts. As a live act, Next to None are tight, and their age definitely made unknowing concertgoers turn heads and pay attention. It’s definitely going to be interesting to see where this band goes next. The majority of the show consisted of covers, with certain songs from the album the group recordedmaking appearances throughout. Not all the covers were specifically among the most well known of choices by bands, but they gathered positive reception throughout. “The Prisoner” by Iron Maiden may not be the most known track in their discography, let alone on The Number of the Beast, but the crowd responded positively like it was “Run to the Hills.” Even a track like “Into the Void” by Black Sabbath was as receptive as “Heaven and Hell,” played earlier in the set that night. Speaking of “Heaven and Hell” specifically, Mark Osegueda does an excellent job covering anything sung by Dio. Maybe it’s a love that Osegueda has for the music, but his performance, as well as the guitar solo performed by Skolnick, as in particularly astounding and noteworthy for the set. Death Angel themselves covered the song on 2013’s The Dream Calls for Blood, and it’s incredibly obvious as to why Metal Allegiance was to include it in the setlist. While he was involved on the album, Sepultura guitarist Andreas Kisser was not in attendance, yet his presence was felt when the group broke out into a violent rendition of “Territory.” Perhaps the only pit of the night, the chugging low notes make it so very appropriate, especially being fronted by Chuck Billy in that moment, whose vocal presence only made the song sound more massive. Bumblefoot and Skolnick also make a great pairing for guitar duties. 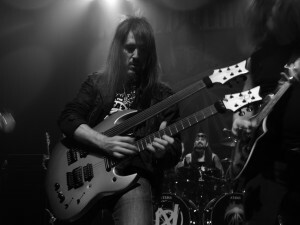 Between the dual guitar harmonies on the Maiden songs, as well as the simple, locked tight rhythms on “Creeping Death,” the two proved that they are as great together as they are in their own respective bands and on their own solo projects. There was great joy to be found watching the two harmonize on “The Ides of March,” and by the looks on their faces, they knew just how great it sounded.